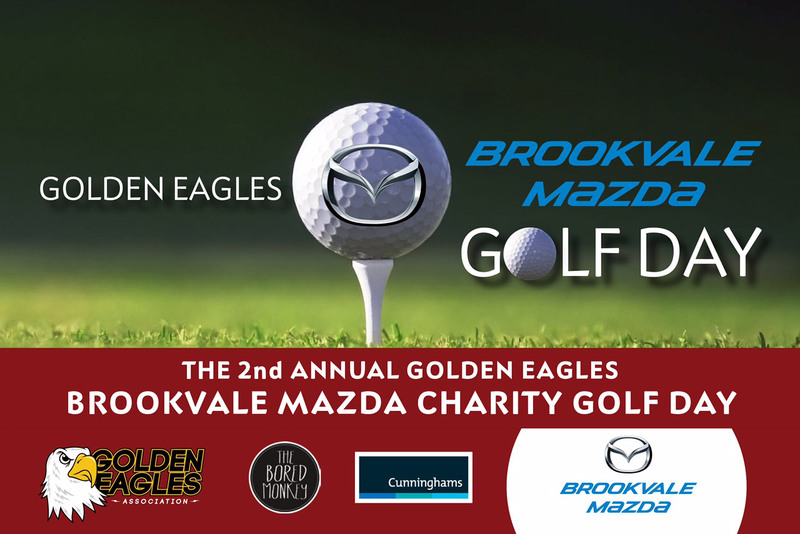 We are proud to announce that once again Brookvale Mazda will be a major sponsor for the Golden Eagles Golf Day. The day will feature everything from barbecues, drinks, auctions with special guests Jamie Lyon, Max Krillich, Steve Menzies and of course- a whole lot of golf! Location will be at the Manly Golf Club on Thursday the 9th of March 2017. For online booking please visit: www.paladin.com.au/goldeneagles. Bookings only accepted with full payment. Cheques to be made payable to: Manly Warringah Golden Eagles Association Golf Day acceptance form to be sent to: Mark Bryant via email: markb@domainres.com.au also by Fax: 02 99990006 or post 2/364 Barrenjoey Road, Newport NSW 2106. For any player or sponsorship enquiries please contact: Mark on 0427 100 669 or Josh on 0431 568 222.